In life there are certain accomplishments that are sometimes quantified by the quality of the spirits that you sip. If you doubt the words of a rum expert, all you need to do is look at the groaning shelves at your favorite package store. Rum has just about exploded in popularity in recent decades after a hundred or so year slumber. Sure you could count on a booze-cruise rum punch while sailing with your friends in the islands- you probably want to forget what highly manipulated rum can do to your gut and your aching head. But this is not a piece about what happens when you drink manipulated, (read: lousy) rum on a stern of a pitching sailboat. This is about drinking some of the very best rum that money can buy. And while you’re learning about what is special about Foursquare Rum, the suggestion is first and foremost, that you are worth it. This is not booze-cruise rum, nor is it rum that deserves a place on the very top shelf of your bar, never to be opened. Why? Fear perhaps has much to do with it. You do deserve to drink Foursquare. Recognize this fear of the unknown and you’ll come to a magical place where quality and cost become a misnomer. Where success is not measured by expense, but by quality. Where experience matters, like that picnic boat you ogled over in your youth, or the first time you experienced a glass or two of really well aged wine, or slurped some really rare Scotch Whisky. 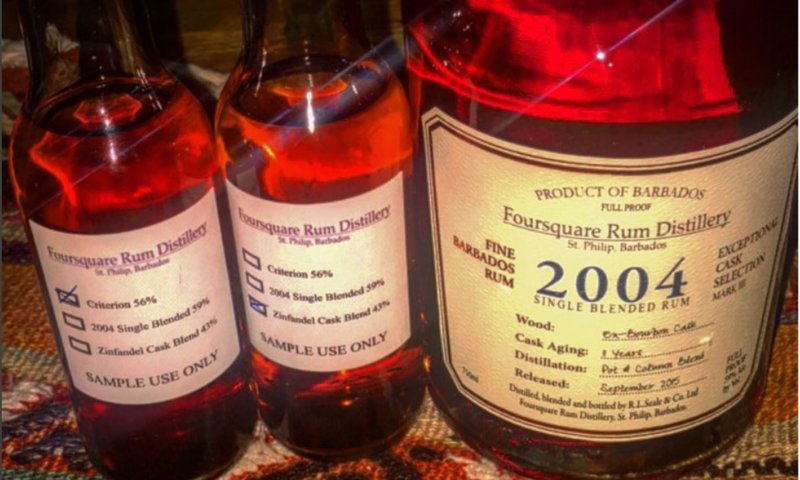 It’s important to note that while Foursquare is not inexpensive, there are rums on the market that far exceed it in cost. Many of these pretty label and fancy bottle rums are manipulated in some manner. Why is that? Because they can, it’s because they are permitted, because no one really cares to know. From caramel coloring to sugar being re-added for a sweet mouth-feel, to globs of thick glycerin to even out the creaminess across the palate- to all sorts of things that would get a rum judge in trouble, just by mentioning that so-and so’s rum is being manipulated. Next PostNext Shrub a dub dub!